At the end of winter each year, strawberry plants laden with flowers burst forth from thawed earth in response to the warming rays of the sun. Soon thereafter, new strawberries begin to change from hard green new fruits to ripening white and pink ones foretelling the harvest soon to come. When the deep red develops heralding the production of the nutritious bioflavonoids, picking time is right around the corner! Whether you pick your own or grow your strawberries, or even if you buy them in the store, it is important to store strawberries appropriately. Here is what you need to know to stave off moldy strawberries and maximize the life of your berries (and your enjoyment of them!). Strawberries mold quickly if left in normal, room-temperature conditions. In order to store strawberries effectively, temperature and humidity requirements should be met. 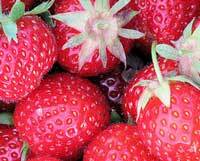 The optimal temperature for storing strawberries is 32 to 36 degrees Fahrenheit (0 to 2 degrees Celsius). Additionally, the optimum humidity level for keeping freshness at a maximum is 90% to 95%. If the humidity levels drops below 90%, water loss and shriveling can occur. It is best to utilize the crisper drawer of your refrigerator when storing. And, if the strawberries were purchased at the store in one of the plastic re-seal-able bins, be sure to close the lid when storing. Strawberries have a short shelf life. Under optimal conditions, strawberries can keep for up to a week, depending on the ripeness of the strawberry when it was picked. It is important to NOT wash the strawberries until just prior to eating them. The additional moisture added to the surface of the picked fruits will hasten their demise into spoilage. Also, be sure to inspect carefully prior to buying from a store or supermarket. 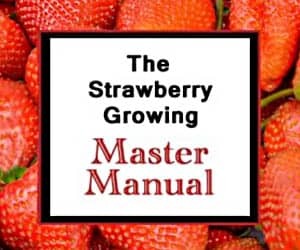 See our Strawberry Buying Guide for tips. Spring means strawberries across the temperate world. If you still have strawberries left over after you have consumed the fresh berries to your heart’s content, don’t forget the many other uses for the wonderful red fruit. You can freeze your strawberries and use them later, or preserve them in jams or jellies. Regardless of how you use them, learning how to store strawberries after picking them will make a difference in their “shelf life” and the length of time you can enjoy them. Good luck, and happy eating! If strawberries are kept in the high humidity drawer won’t the moisture cause rot? I would like to find out how I store strawberry plants in urns for the winter. I have two plants in urns where the runners go through holes from the urn. These are usually made for strawberry plants. What do I need to do for storing them before the winter. I have 2 other plants in the ground and cover them with hat. I live in New England with cold winters. Thank you. This should help: how to overwinter strawberries. Good luck!